The realistic driving simulator isn't out until this November. Heck, the game isn't even finished. But a video of a recent demo shows sluggish loading times. 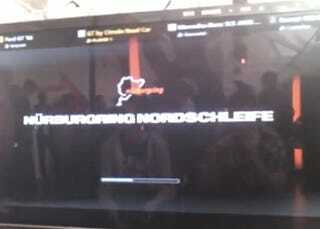 According to this video of a Nurburgring demo, GT5 takes over a minute and a half to load. This track is quite long, so that might be a factor in this lengthy load time. It could also mean that shorter tracks have shorter load times. This video was filmed by French GT5 site GT5rs. Note: These demo load times have not been directly confirmed by Kotaku. But if GT5 does in fact suffer from long load times, all is not lost! With a couple months left and GT developer Polyphony Digital still hard at work, there is hope that these horribly long load times can be significantly reduced. Hope, people, hope. Update: Some readers have pointed out that this video may be slowed to give the appearance of longer load times. Make of it what you will! Update 2: We asked Sony about the theories that the video has been doctored to show slower load times. A spokesperson told us that no one on the GT5 product team in the U.S. had witnessed load times as slow as the one depicted in the video posted here. Has the video been altered? Was there something up with that build of GT5 that day? Does the game load its tracks that slowly? We can point to this video, cited by readers, of another pre-release version of the game loading the Nurburgring track more quickly. Update 3: As can be seen in the embed, the creators of the video now say that the clip was slowed down. Scrutinizing the timer that appears in the driving part of the clip, we agree that the video appears to be slowed down and is not running at full speed. We apologize for any confusion or consternation caused by our mistake.